I think you’ll agree that an average winning rate of 83% is a pretty insane claim – so is it actually legit or is Option Robot a scam that’s just out to part you with your cash like all the other binary systems? What Exactly Is The Option Robot System? 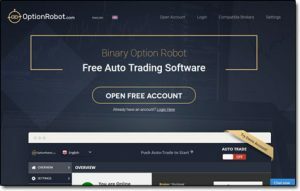 As I briefly touched on above the Option Robot system is an automated binary options trading system – meaning you can sign up, deposit funds & let it make trades on your behalf without any input required. I’ve seen several of these so-called free binary trading systems launch over the years & to date every single one of them has turned out to be a flat-out scam designed to part you with your cash. Though unlike the other binary systems I’ve seen, such as TAI Robot & the Dubai Lifestyle App, the Option Robot system it’s slightly more subtle in it’s approach to making claims about income. Which don’t get me wrong is still one heck of a bold claim because in other words despite it being more subtle they’re still basically saying that you’re guaranteed to make money without doing anything. Whilst the internet is a great tool & there are plenty of opportunities to make money unfortunately it’s not magical & therefore when I see something promising easy money with little work I become immediately skeptical. How Does Option Robot Work? Sound too good to be true? It kind of is – more on that in a mo. But firstly let me point out that Option Robot is slightly different to other online binary trading systems because rather than forcing to sign up with 1 specific broker that they recommend to you they actually give you the option to choose from 9 different brokers. You will however still be forced to sign up & deposit funds with at least one of them before you’re able to access the Option Robot platform (which I don’t recommend you do – I’ll explain why in a mo). Then once you’ve signed up & deposited all you’re told you need to do is choose one of their 3 trading methods & you’ll be on your way to making a ton of easy money online with absolutely no effort. Sadly whilst the Option Robot platform comes across as somewhat more professional than the other binary options scams that have came before it, in reality it’s still no different to them at all. The Option Robot is a system that’s been put together by a group of internet marketers – not trading experts like you’re led to believe, and these marketers are merely out to part you with your hard earned cash. They have arranged deals with each of the brokers they work with (the 9 I mentioned above) and basically they get paid a huge commission whenever they get somebody new to sign up & deposit funds. To increase the amount of people that they’re able to get to sign up & deposit funds with the brokers they’ve created the Option Robot system, which is something that can supposedly generate you automated profits. But supposedly is the key word, because in reality the system doesn’t work as promised – it’s just a ploy to get you to sign up with the brokers so that they can get paid those big fat commissions. Sadly though you’re only left to find out that out after making your deposit. And by then it’s too late, because the brokers have already got your funds – and if you think you’ll be able to get them back think again because these binary options brokers make withdrawals almost impossible. Basically this is a scam & they’re all in on it together. The brokers have even been known to falsify your account details to make it look like you’re profiting when you’re actually losing so that they can get you to deposit more funds, then when you finally go to withdraw they decline your request & kick you out of your account. I’ve heard of people losing their life savings to these things, they’re bad news. The reason there’s so many of these binary options scams is because they’re very successful at parting people with their cash & the reason for that is because they lull people into a false sense of security. Basically they make you feel like you’ll be able to just try the system out & that if it doesn’t work you can just withdraw your funds & be on your way, but sadly if you do deposit you’ll find it doesn’t quite work like that. As I mentioned above the brokers these guys work with are in on this scam just as much as the marketers that have actually put the system together & they’ll make getting your cash back very difficult. But if you have deposited then this guide might help you get your money back. Conclusion – Is Option Robot a Scam? Yes it is, whilst this system comes across as more genuine than the other binary options scams that have came before it with the flashy videos & sales pitches ultimately it’s no different at all. It’s clear to me that this system is merely out to part you with your cash & it’s nothing but a ploy to get you to sign up & make a deposit with one of their brokers so they can earn a commission at your expense. Binary options trading on it’s own is risky enough but these systems make it 100x worse & unfortunately they seem to be preying on people who are in the most desperate of financial situations too. 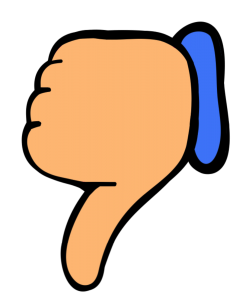 Therefore I’ll be giving this system a huge thumbs down & I definitely won’t be recommending it because it’s clearly nothing but a scam so I’d advise you avoid it otherwise you’ll risk losing your cash. Knievel Money Review – Scam or Legit? Get The TRUTH! Can You Really Make Money Selling PartyLite Products?